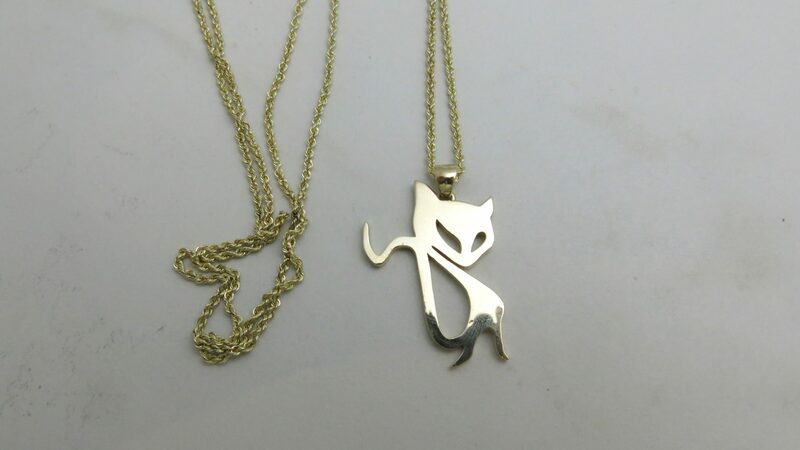 Our Groovy Kitty Cat Necklace was a custom pendant made for a client with a record label of the same name. Do you have a logo, name, or animal you want turned into a beautiful pendant? Send it to us and we can get the painless process started for less than you think. We have done hummingbirds, koalas, and alien heads! If you can dream it, we can make it! This Cat Necklace was about an inch tall. However, we can cast our custom pendants up to 3.25 inches tall or wide in Brass, Bronze, Sterling or Argentium Silver, white, yellow, or rose Gold, Palladium or Platinum up to 3.25 inches wide or tall. 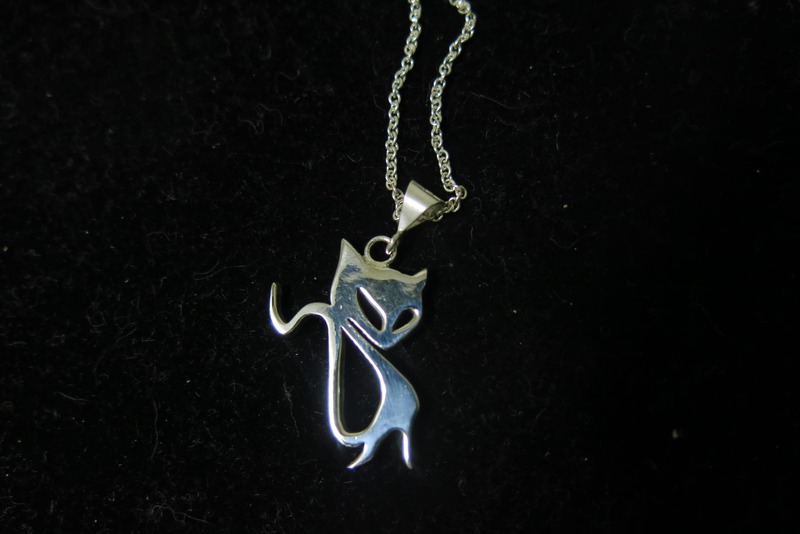 Prices start for a Sterling Silver Cat Necklace. Do you like animals pendants? Click HERE to see our hummingbird necklace. Click HERE to learn more about custom jewelry, to see our portfolio, or to contact us about a Cat Necklace. It can cost less than you think to have your very own custom pendant or necklace made just for you. Why hassle with the retail stores for boring and overpriced necklaces?